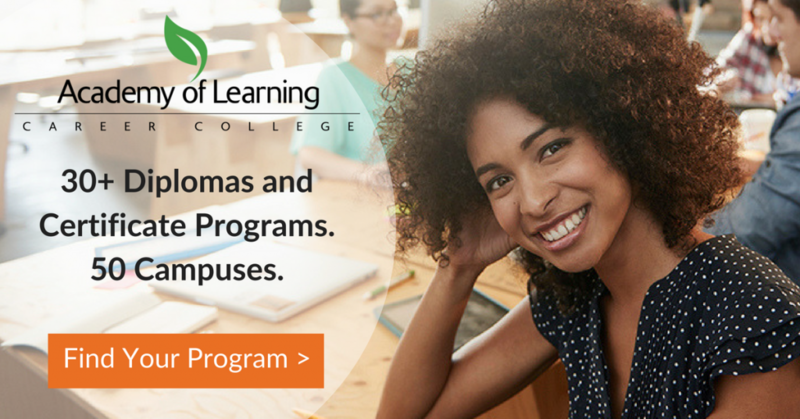 She recently completed her Community Service Worker diploma at Academy of Learning Career College – Abbotsford in British Columbia. After graduation, Marian landed her dream job. However, it wasn’t too long ago that she felt lost in life. She hopes her story inspires others! A high school dropout, Marian spent many years struggling with addiction. Eventually, her unhealthy lifestyle lead to life-threatening liver cirrhosis. She knew she had to change. Marian found strength in herself and became motivated more than ever to take control of her life again. She worked with the staff at Academy of Learning Career College to help map out her career path. She was passionate about helping others so the Community Service Worker diploma was a perfect fit. At first, she didn’t expect anything more than passing grades. Lo and behold, she sailed through the entire curriculum with honours! 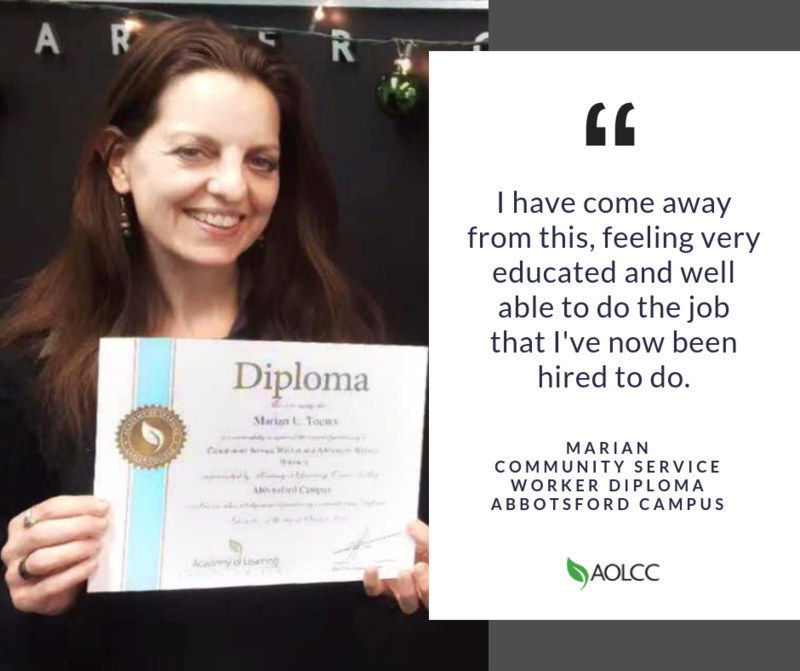 Students in the Community Service Worker program at AOLCC – Abbotsford typically complete a practicum where they gain hands-on experience in the field working with an organization. Marian worked her practicum at Salvation Army Center of Hope, and was hired shortly after she started. She now works mostly with clients who are in need of love and care. Thanks for the inspiration, Marian!